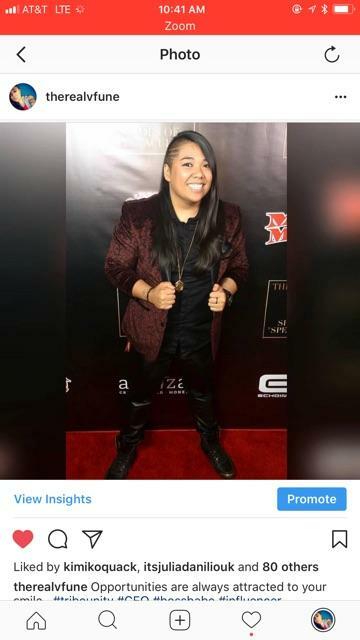 Vanessa "V“ Fune is our featured music industry professional of September 2018. She's an entrepreneur, a philanthropist, an entertainment guru and the founder of Tribe Unity. The company responsible for the production behind Hollywood Music in Media Awards, TBOZ unplugged, City Gala reaching all aspects of the entertainment industry from Film, Music to being a world changing influencer. V created Tribe Unity with the sole purpose to change the world through people’s passions. “Life is just too short to not live your passion. Everybody has a passion within them that I believe was instilled into them by the universe as their purpose. Even if your purpose is to play video games, if it makes you happy then that happiness puts out this positive vibration that spreads to others,” explains V.
Check out V's story HERE. Looking to live your passions and align with a Tribe who supports you? Join the Tribe Club to receive Bi-weekly coaching with industry professionals, exclusive invites to Social and Celebrity Events, and more.